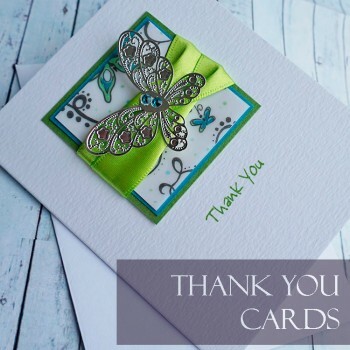 Send your appreciation with one of our extra special handmade cards, personalised to suit your own needs, whether to thank guests for wedding presents, a corporate thank you or an appreciation of gifts for a new baby. 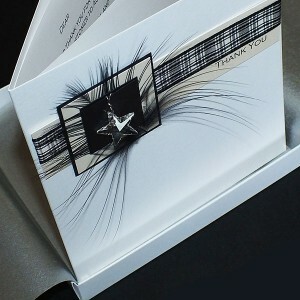 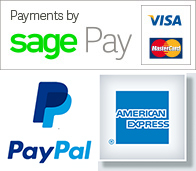 Cards can be supplied with a white envelope or in a box, lined with tissue paper and tied with a satin ribbon. 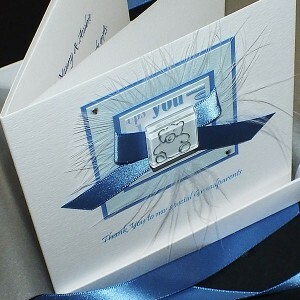 Personalised Thank You Card A genuine Swarovski crystal star mounted on shiny card, ribbons a..
Personalised Thank You Card "Blue Teddy" A lovely card with a hand painted Teddy to say thank..